Punchy Peach is a vibrant peach, with shocking pinkish-violet shimmers. The formula is watery-thin, and even with four coats, the nail line still peeks through. However, it applies well, drys quickly, and last about 3 to 4 days without chipping. Punchy Peach is a unique and fun shade to wear during Spring/Summer. What are some of your favorite unique nail polishes? I've seen this in store and I'm in love with it! I want it on my toes and fingers at the beach in a lovely cotton dress! Wow Mrs Gorgeous!! Impressive mani considering the wishy washy formula!! I agree that the color is pretty unique, but 4 Coats?! Why don't they just go ahead & call it "Patchy Peach", then we'd all be forewarned!! Hey there Mrs. Buggsie Bee! Patchy Punch, hahaha, so true! I really enjoy the color, but unless I have time to deal with the four coats, I don't reach for it often. This is pretty on your nails. Sadly, I'm with Buggsie Bee on thinking this seems to be a "wishy washy formula". It does give a lovely effect. Perhaps a coat of white nail polish for the base would help Punchy Peach along. What do you think? I would recommend a base coat. but not white as it can peek through the corners if not covered properly. I'm flattered you remember me! 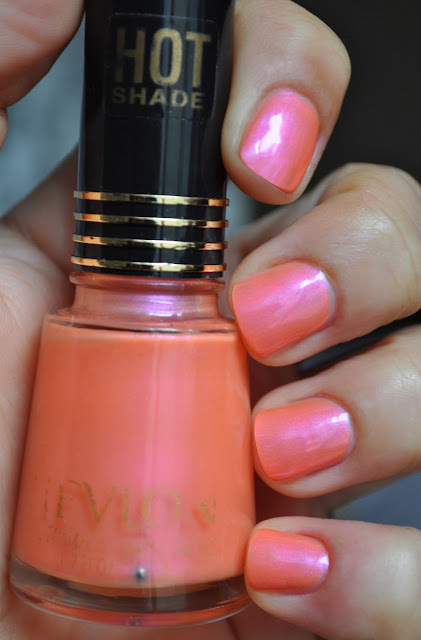 OMG that is one gorgeous peach nail polish! 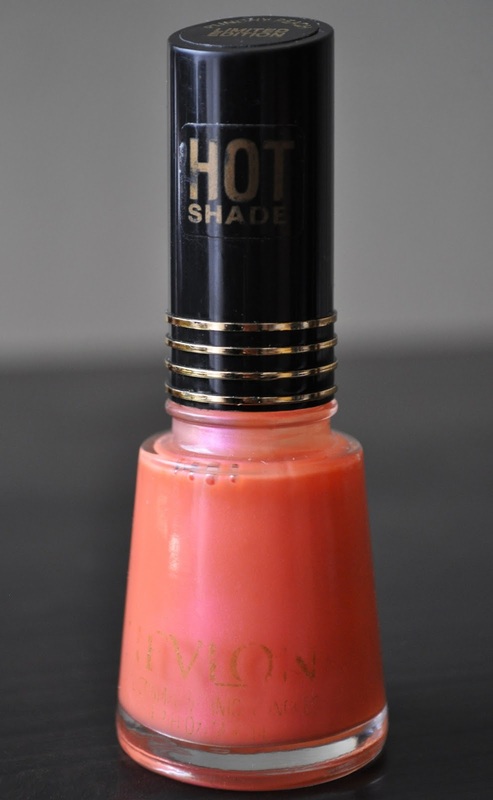 absolutely loved the shade..its perfect for summers! Punchy Peach looks gorgeous with a tan, and I love wearing it on my toes. It really is Olivia, but I only wear it when I have the time to for a four coat polish. > Hi there, I love the color, look on & reviews, do you know where I could purchase this Revlon Punchy Peach nail polish please? Hey Celia, if you're in the states, you can try your local drug stores, target, walmart, etc. Also, you can check ebay or amazon.com.